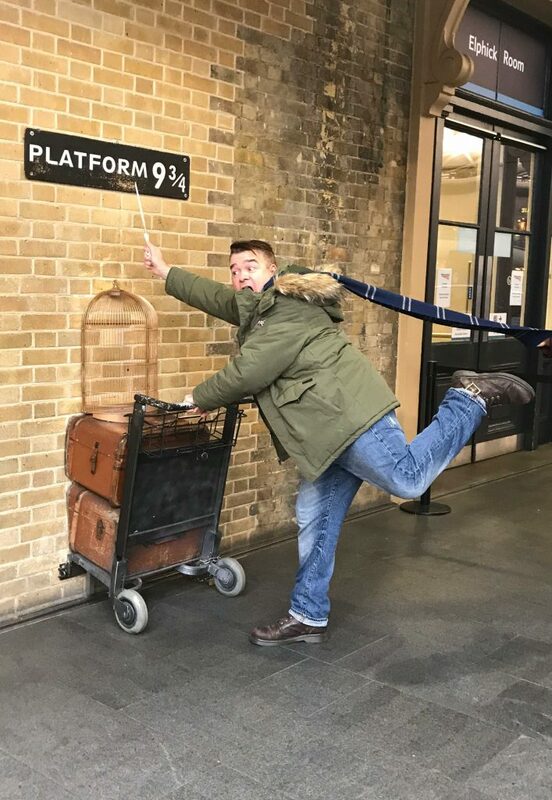 Next Stop, Hogwarts - Platform 9 and 3/4s, King's Cross Station, London - WattWhereHow? For our generation, King’s Cross Station was known for being a square on the Monopoly board. Ask the kids today and they’ll be like – Meh-nopoly more like. 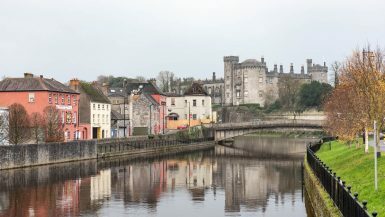 Now it’s famous for another kid favorite – Harry Potter. In J.K.Rowling’s Harry Potter series, the train to Hogwart’s Castle departs from King’s Cross at Platform 9 and 3/4s. 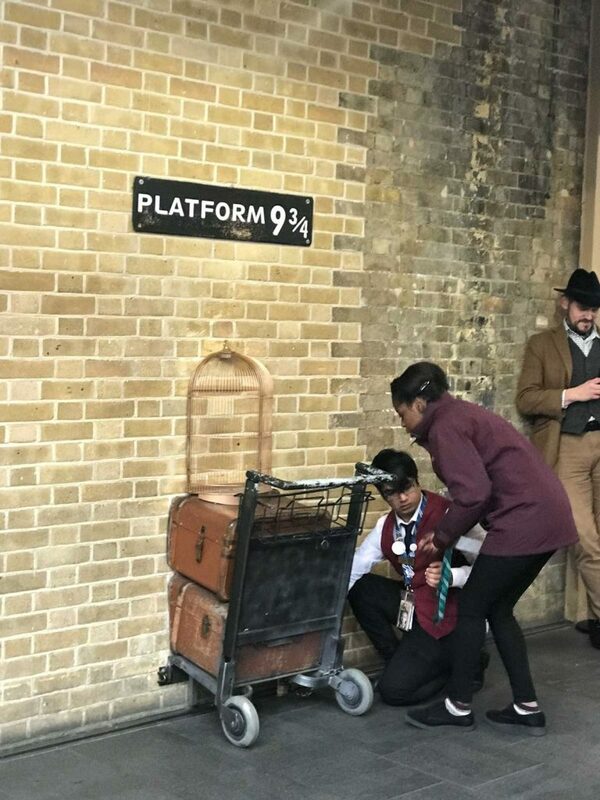 Of course, there’s no official platform there, as it can’t be seen by mere Muggles. It has to be reached using a little magic. Luckily the merchandising, marketing machine behind the brand has ensured everyone can experience that little bit of magic. Between the Platforms 1 to 8 and the general ticketing booths, stands the Harry Potter shoppe. 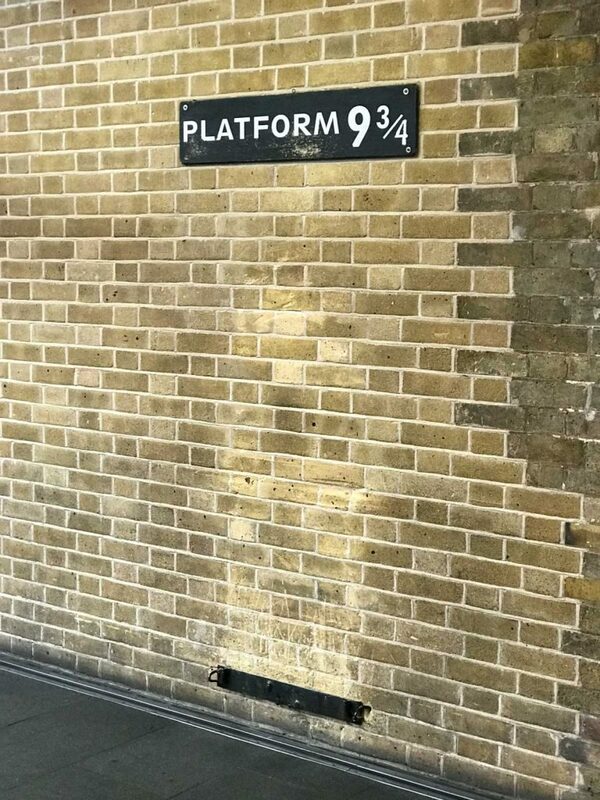 And right next to that is Platform 9 and 3/4s. As we’ve arrived just before the store opens, we’re a little confused. Below a sign that marks the platform entrance, just like the movie is a slightly discolored bit of wall. It’s mildly intriguing, especially a large queue has formed between some neatly arranged bollards. As the clock strikes nine, a few staff emerge from the shop carrying half a luggage cart, complete with half a cage and a handful or wands and scarves. The semi-cart is screwed firmly into the wall and it all becomes clear. Fans line up for the ultimate Harry Potter photo op. 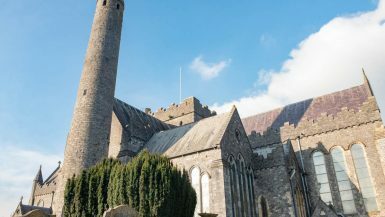 One member of staff takes photos. The other is the official scarf fluffer, ensuring every photo looks like the subject is running at pace at the wall. The shop itself has all the standard fare you’d expect from this setting. 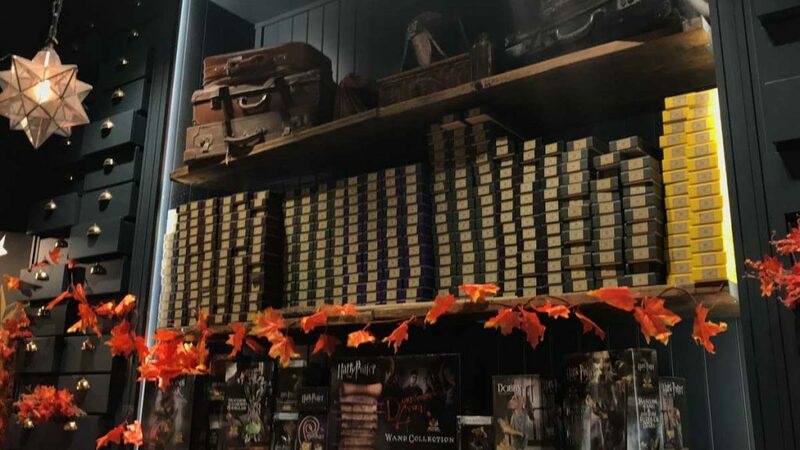 Wands, plush Hedwigs, house uniforms, scarves, quid ditch gear, jelly beans, etc. Thankfully there is also specific Platform 9 and 3/4 trinkets like shirts, key rings and signs. 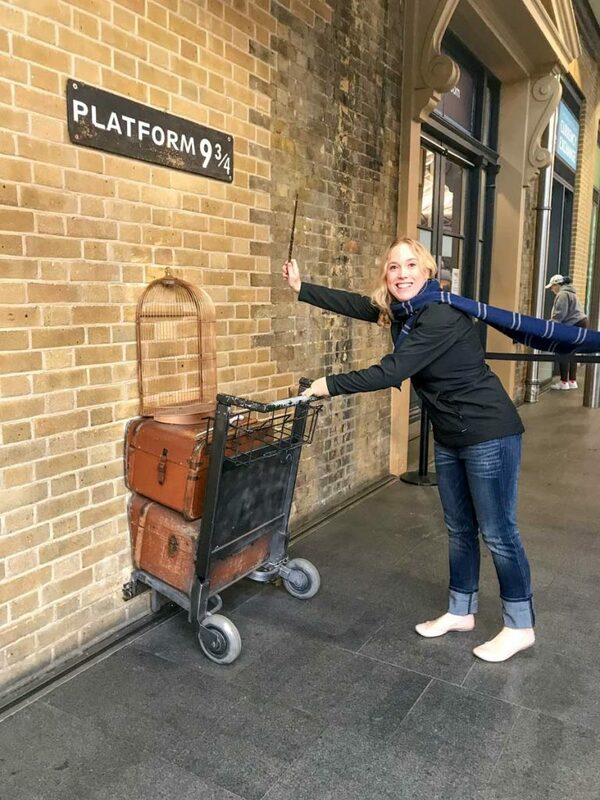 For a Harry Potter fan (like Jess), posing at the wall is a fun moment to mark your visit. Heck, it was even fun just watching everyone’s attempts at a timed jump for the official photographer. 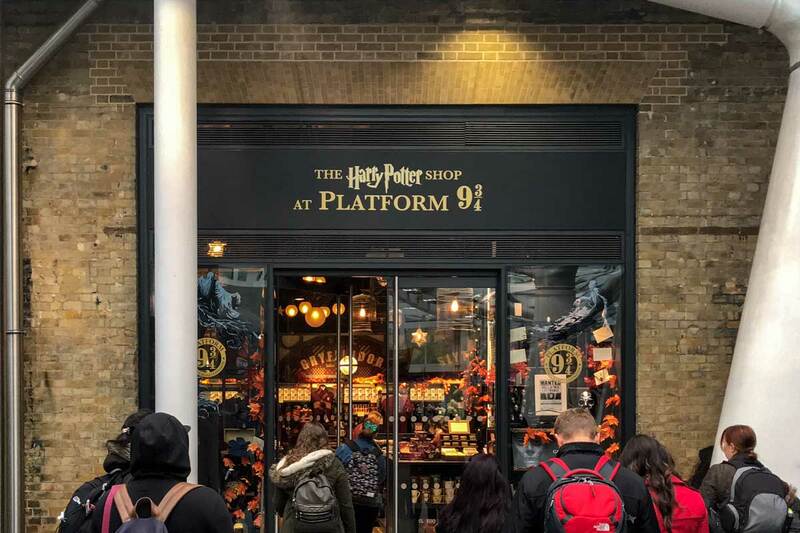 Platform 9 and ¾ is a tourist-centric celebration of King’s Cross Station’s link to the Harry Potter series of books.